Saturday the 16th of March 2019 was another Essex 2m Activity Afternoon. The event is organised by the Thurrock Acorns, and Essex Ham is a big supporter of the concept. This was one of the busier Activity Afternoons, with 5 club callsign active supporting the event. The WX killed plans for several Essex Hams to get out-and-about. 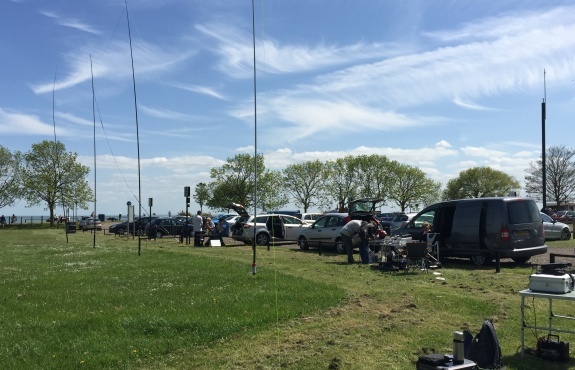 Plans for Shoebury Beach, Galleywood and Radar Hill were all abandoned, so everyone stayed in the warm operating various modes, including simplex, SSTV, a rather busy net on GB3DA, and even some FT8. 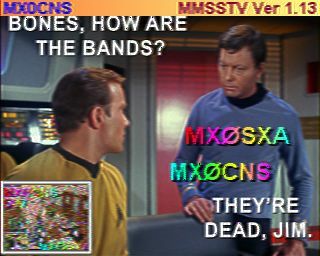 Several SSTV messages were sent and received too, which added to the fun. Well done to everyone who took part in the first Essex 2m Activity Day of the year, and took time to get on-air. The next one is set for the 20th of July 2019. Involved with a club in Essex?We can help to promote your club’s event to the amateur radio community. Send us your events news, and we’ll help to promote your event to amateurs from across Essex and beyond. If your club’s events aren’t being featured, get in touch with Essex Ham, or find out more about how Essex Ham supports local clubs.